Beginning Sept. 1, Dominion Virginia Power will expand its EnergyShare program in both funding and scope to provide financial assistance, weatherization services and educational outreach to more qualifying customers, including people living with disabilities and military veterans facing financial hardships. The initiative to reduce energy costs for Virginia’s most vulnerable residents came out of legislation passed by the Virginia General Assembly and an executive directive by Gov. Terry McAuliffe in February 2015. Since then, Dominion has worked hand-in-hand with more than 30 state agencies, non-profit organizations and other experts for guidance on how to best implement the program. Free weatherization assessments and improvements may include attic insulation, LED lighting, low-flow showerheads, pipe wrap installation, faucet aerators, furnace fan motors, heat pump and/or AC tune-ups, and air sealing or duct sealing. Weatherization services will be provided by the state’s weatherization network to ensure the highest standard of service. Since EnergyShare’s inception in 1982, Dominion Virginia Power and its customers, employees, retirees and business partners have contributed more than $67 million and have helped more than 300,000 individuals and families. With this newly expanded program, Dominion hopes to reach 10,000 participants a year with energy assistance and provide weatherization to 2,600-5,300 dwellings each year, including single-family homes, mobile homes and multi-family units. Under the new program, donations will still be accepted and used to help elderly and low-income residents who face financial hardship and need assistance with energy bills. 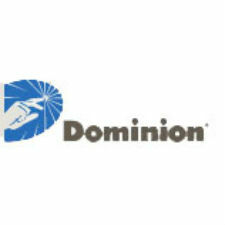 Because Dominion covers 100 percent of the program’s administrative costs, every cent donated by customers, employees or others goes directly to helping those in need.